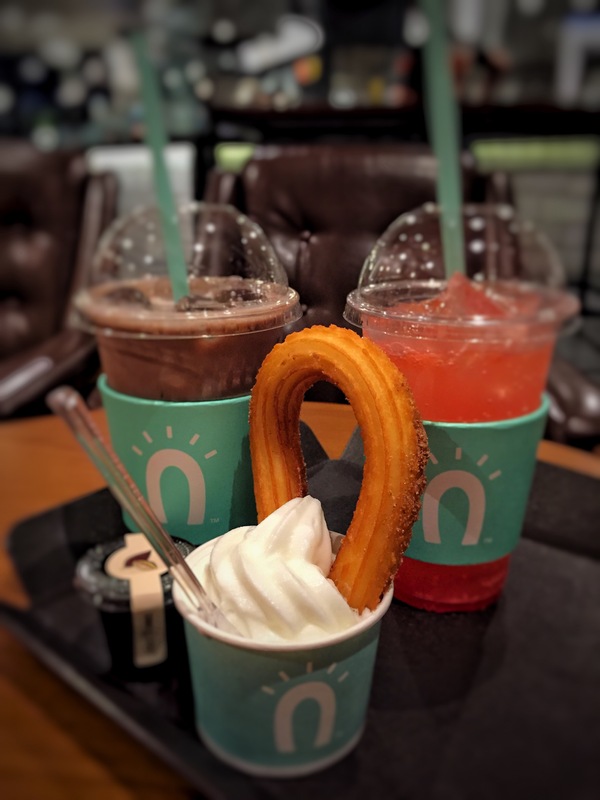 Walking around Seoul this past week, we kept noticing places selling churros. Last I checked churros did not originate from Korea, so why are there so many places to get them? I chatted with a couple Koreans and asked why? And their answer was simply because they are yummy lol. 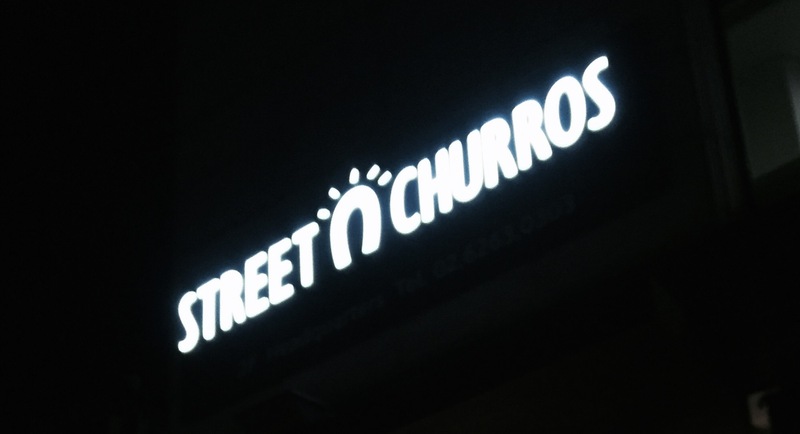 So after dinner the other night we passed by Street Churros in Itaewon and decided it was time to give it a try. Street Churros is a chain and it is all over Seoul. You can also get ice cream to accompany your churro, not any ole ice cream but Danish Cheese Ice Cream. 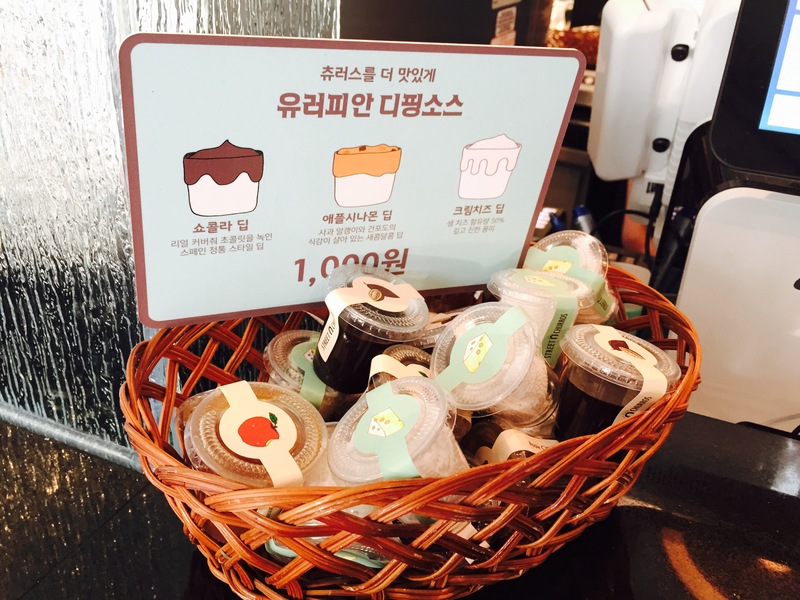 You might be wondering what that is, we had no idea and ordered it anyways and added a chocolate dipping sauce (only 1000 won) for good measure. I would personally recommend not letting them put your churro in the ice cream, as it will melt pretty quick. The Danish cheese ice cream has a hint of cream cheese to me, it’s like a punchier vanilla. In addition to churros and ice cream, they have coffee and a variety of other drinks to heighten your sugar rush! After we paid, I noticed that there was one limp churro lying in the tray and was crossing my fingers that they would make more just for us. And guess what?! They did! Here is a video on how they make these delectable deep fried morsels!